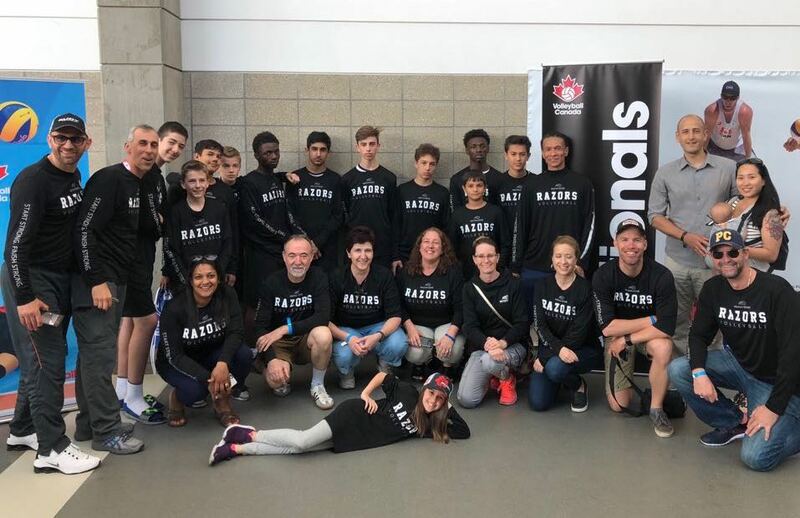 14u Edge Razors 5th in Canada at Volleyball Canada Nationals!! See article in the Milton Canadian Champion. The Milton Edge Razors 14U boys are fresh back from an incredible tournament at the 2018 Volleyball Canada Nationals in Edmonton, AB. Their second trip to Nationals in 2 years and one team representing Milton Edge at 2018 Nationals. 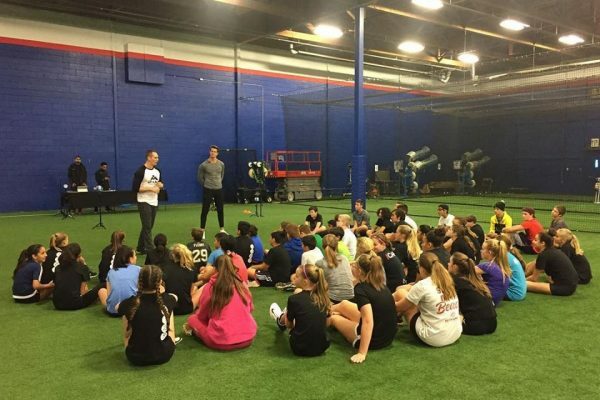 This was an incredible experience where male and female volleyball teams in age categories 14u to 18u from across the country came to beautiful Edmonton for 3 day tournaments to see who would come out on top for Canada. The first two days, all 40 of the 14u boys teams faced off to establish ranking in their team pools and to establish which teams would move to the levelled Tiers for the playoffs…and the Razors got off to a roaring start defeating the first 2 teams of the day from Alberta and Saskatchewan in 2 straight sets before falling in 3 close sets to a strong BC team. The second day brought greater competition and some really tough matches especially from the Alberta Fog and our local Ontario Thundercats, but the Milton Razors played some terrific volleyball again with some tremendous setting from Jaten Mahil, Ryan Smith and Isaac Wiliszewski and strong and consistent hitting, passing and serving from Sam Nissan, Max Tsiapalis, Rahim and Rahmane Ouattara, Noah McDonald, Marko Nedev and Dennis Cota. They ended the day placing in the top eight teams of the Nationals tournament ready to play in Tier 1 playoffs on the final day. On the last day of the tournament, the Razors faced off in Tier 1 quarterfinals against undefeated and 3rd ranked Samurai Gold team from Quebec. Led by co-captains Sam Nissan and Max Tsiapalis, the boys battled strong swapping heavy hits and strong defense by both teams. Aggressive attacking was the game plan and in the end, the boys were able to take advantage at the net with some powerful hitting from Rahim and Rahmane Ouattara, but came up short on defense losing a close first set 25-23. The second set they came out strong with incredible intensity by Noah McDonald, Isaac Wiliszewski, Jaten Mahil and Rahmane Ouattara, but Samurai came out strong again too and after an early stage battle, the Samurai team climbed it’s way to 25 first keeping their undefeated streak alive for another game. With that loss, the boys finished a very respectable 5th in Canada out of 40 teams. They climbed up from entering the tournament ranked 16th, to establish themselves as top contenders for a National Championship next year. Head Coach Gus Tsiapalis was extremely pleased with the tournament and their 5th place Canadian finish and commented on how proud he was to see the boys and this team finish the season so strong. 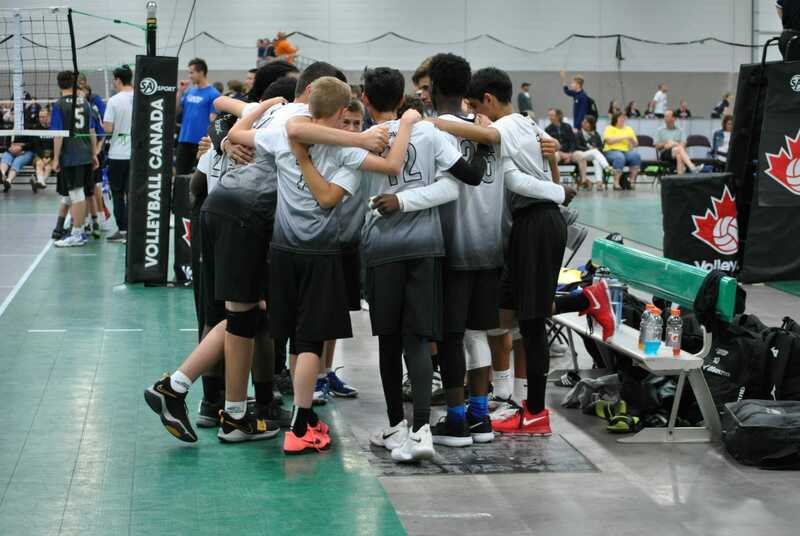 Indeed they played some of their best volleyball of the year at Nationals and with that effort will no doubt continue to turn a lot of heads as they continue to help grow boys volleyball in Milton and the surrounding area in the coming years. 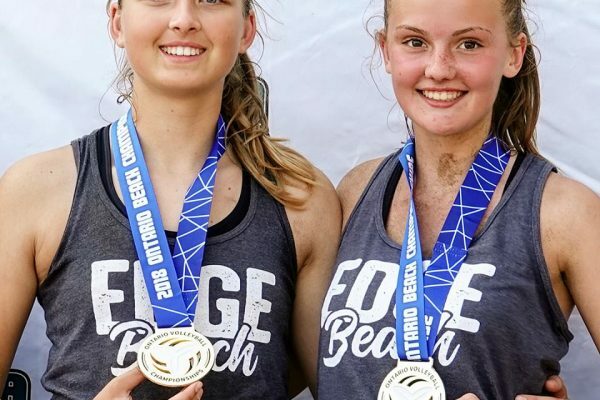 15u Beach Edge Team Pedersen and Parn Earn Gold at OVA Beach Provincials Championship Division, Tier 2!! 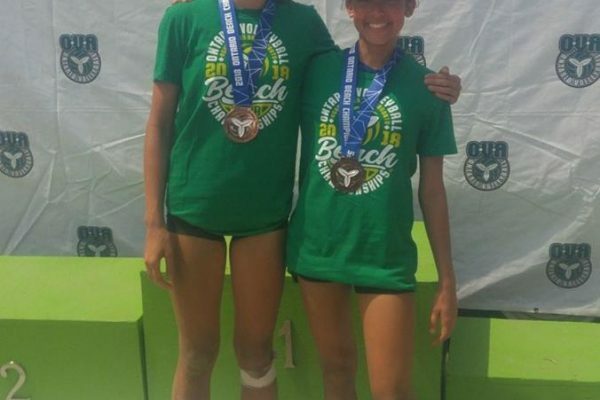 13u Beach Edge Team Dunham and Harland Earn Bronze at OVA Beach Provincials Championship Division, Tier 1! !